The Type ‘MF’ Relief Valve is hydraulically operated, single seated, piston actuated, diaphragm pilot controlled and spring regulated. Automatically relieves over-pressure in systems and diverts to holding tank, process, pump suction or atmosphere. The diaphragm pilot control opens when the upstream pressure reaches the nominated relief setting, releasing pressure from piston chamber thereby opening main valve. 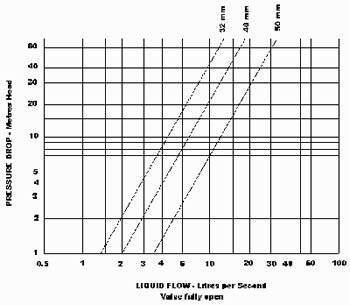 When upstream pressure falls below setting the pilot closes. Pressure then builds up in piston chamber via internal restricting port, closing valve. A fine mesh screen fitted to the internal port protects the restricting orifice and pilot valve from foreign particles.